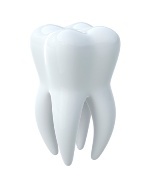 Your teeth are an important but overlooked part of your body. Many people will routinely go to the doctor’s office for a check-up, but will conveniently shrug off going to the dentist for years! While the cost can get quite expensive, especially without good health insurance, dentist visits, and proper oral hygiene, it is not something you should skimp out on. Because healthy teeth are signs of a healthy body. Having healthy teeth is actually an indication that certain bodily processes are functioning properly—and it goes even further than that. It also makes you more attractive. According to a recent study, having white, evenly spaced teeth make people more attractive, because it’s a sign of good health overall, which a potential mate is looking for. The study also found that healthy teeth were an indication of a woman’s age—the participants noted that healthy teeth made women look younger. Red, swollen and bleeding gums are also an indicator of possible heart disease and an increased risk of diabetes, say researchers. If not treated properly, gum disease can cause inflammation in your entire body, and lead to even bigger problems. Studies show that people with gum disease are more likely to have heart disease than those with healthy teeth—while the link isn’t conclusive yet, it’s likely because of the oral bacteria that spread from your mouth to your body. If you’re one of the four million Americans who suffer from Sjogren’s syndrome, then you’re likely to have a lot of oral health problems too. If you suffer from this syndrome, then your body’s immune system attacks your tear ducts and saliva glands, making your mouth and eyes dry. You don’t want a dry mouth: saliva actually prevents bacteria from building up in your mouth and protects your teeth from cavities. If you grind your teeth because of stress and anxiety, it sure shows. These teeth-grinders are more likely to have a number of health problems, including improper oral hygiene. When you’re stressed, your body is producing more cortisol, which can destroy your gums and other areas of the body. Ensure your healthy teeth stay protected by reducing stress in your life. Oral hygiene might not seem like a priority—but it definitely should be. Your healthy teeth reveal a lot about who you are and unhealthy teeth make you more at risk for a number of health conditions, so start protecting those pearly whites today. Smith, J., “Oral bacteria and its effect on joint failures,” Yahoo! Health web site; http://health.yahoo.net/articles/arthritis/oral-bacteria-and-its-effect-joint-failures, last accessed June 20, 2013. “Your mouth, your health,” WebMD web site, September 29, 2010; http://www.webmd.com/oral-health/ss/slideshow-teeth-gums, last accessed June 20, 2013.